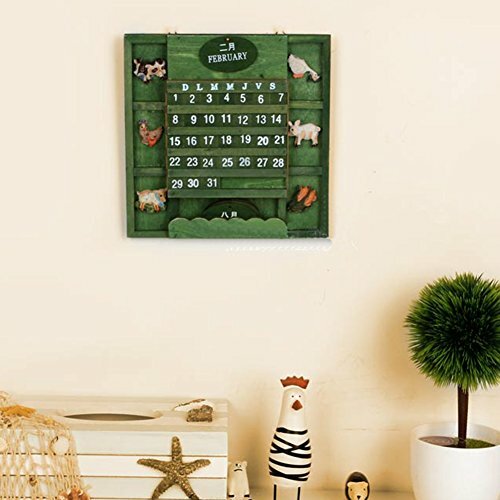 -Original European style calendar,for living room bedroom wall desk decorations. -Material: wood + resin ornaments + metal hook. -Size: approx. 20.5 * 20.5 * 1 cm / 8.07 * 8.07 * 0.39 in. -It will be a nice gift for your family or friends.